This hash brown casserole is a great dish to serve with a hearty brunch or breakfast or serve it along with an entree for dinner. 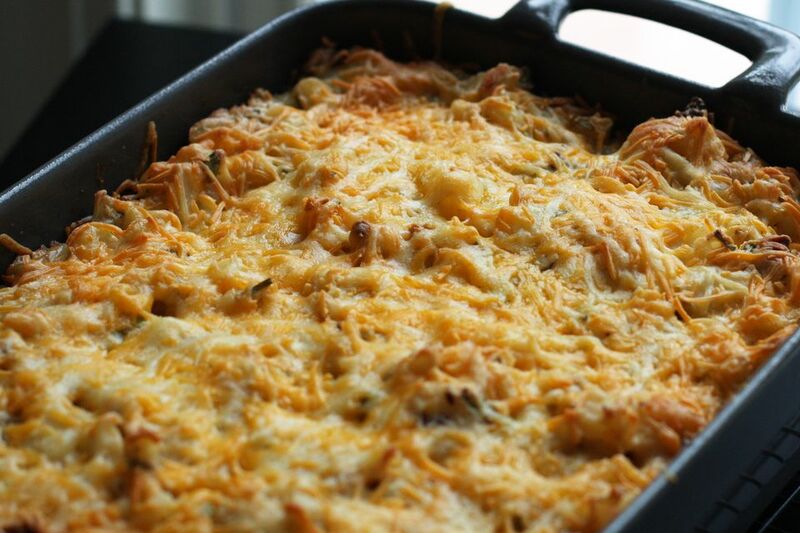 Hash browns, ham, spinach, and a simple cheese sauce make up this tasty hash brown casserole. Top the casserole with buttered breadcrumbs for extra color and crunch. Heat the oven to 350 F (180 C/Gas 4). Grease a 2 1/2 to 3-quart baking dish or spray the inside with nonstick cooking spray. In a medium saucepan over medium heat, melt the butter. Add the flour and cook, stirring, until smooth. Continue cooking and stirring for 2 minutes. Gradually add the milk. Cook, stirring, until thickened. Stir in the cheese and mustard until well blended. Continue cooking and stirring, until cheese has melted. Taste and add salt and pepper, as needed. Arrange half of the diced ham in the bottom of the baking dish. Top the ham with half of the thawed hash brown potatoes and half of the cheese sauce. Repeat with the remaining ham, hash browns, and cheese sauce. If desired, top with buttered breadcrumbs. *To thaw hash browns, place them in a container in the refrigerator for several hours or overnight. Pat dry and use in the recipe. If you are in a hurry, put the hash browns in a colander and thaw under cold running water. Put them on paper towels and pat dry or put them in a salad spinner.